There's like a 50/50 chance of visiting Reddit and having it apply https://userstyles.org/styles/123908/reddit-slate-nights-fixed-custom-fork-dark​. Once it successfully applies it will remain applied for the life of that browser Tab. I don't want to upgrade to Firefox 57 (yet) because some of my add-ons are incompatible with Web Extensions. More details are necessary if you want good advice. Reddit is a different beast, seeing as how subreddits are allowed to use custom CSS. The majority of Reddit styles warn you to disable allowing custom CSS, which can be done in settings if you're signed in, or RES if you use it. They can also be blocked with adblock filters. Basically, where does it fail? Which pages exactly? Does it ever fail on the front page? When it fails, does it fail completely, or are certain elements still styled? If Stylus was bugged on Reddit, I can pretty much guarantee I would've heard about it. Anything is possible, but it's a lot likelier that custom subreddit CSS is to blame. For Firefox 56, use version 2.1.1 and disable automatic updating. The problem is intermittent, if it was a Reddit's custom CSS functionality than wouldn't that make it a consistent issue? You were opening tabs so fast, it was tough to get a good look, but the only one I saw fail was one that loaded in the background because you had opened another on top of it before it began loading. This leads me to believe that it may be this bug, which is present in Stylish, and also affected Stylus. It was fixed in Stylus, but there was a regression recently, as you can tell from the linked issue. If it is that bug, it should be fixed in the most recent version of Stylus. I wouldn't hold your breath waiting for a bug fix from the Stylish dev. If it isn't that bug, you'd at least need to slow the demo vid down for me to come up with any guesses. I can tell you that none of those links are problematic with the current Stylus release in Chromium or Firefox. It could be that issue. I think the e10s functionality of Firefox makes it possible to tell Firefox to load a webpage and navigate away to another tab before it actually begins navigating to that page for that tab, effectively making it load the page in a background tab. Youtube has a Playback Speed setting for the videos. I'll give Stylus another shot. Youtube has a Playback Speed setting for the videos. I'm aware, but I watch YT vids via an extension which loads them in an iframe in the native player when their link is hovered. I'm not trying to go full CSI on a screen record anyway. The real issue was that I couldn't really tell if the failed tab was loaded in the background or not. You should probably know whether or not that's a good possibility. I'm interested to know if that was the case. @João. was also right that there's no reason not to use the legacy Stylish if you're not updating to 57+, unless you're migrating now because you plan to. It is the issue, I can consistently trigger it now that I know the cause. 2) Click a bookmark for the website. 3) Before the name in the tab changes from "New Tab" to the Reddit website name, click the other Tab. 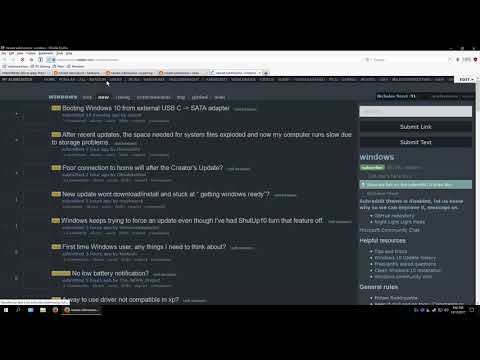 4) The website will load in the tab that is now no longer in focus and without the theme being applied, even when returning to the tab containing Reddit (refreshing the page a couple times gets the theme to apply). With current Stylus I can't reproduce the issue. You're too kind. No problem. Any time.